ホーム ｜ 新譜：R&B 洋楽 ｜ V.A. / ULTIMATE REMIXES OF "WE ARE THE WORLD 25 FOR HAITI" / "WE ARE THE WORLD"
V.A. 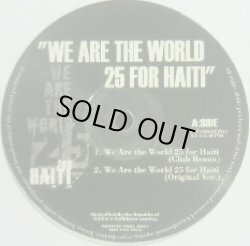 / ULTIMATE REMIXES OF "WE ARE THE WORLD 25 FOR HAITI" / "WE ARE THE WORLD"